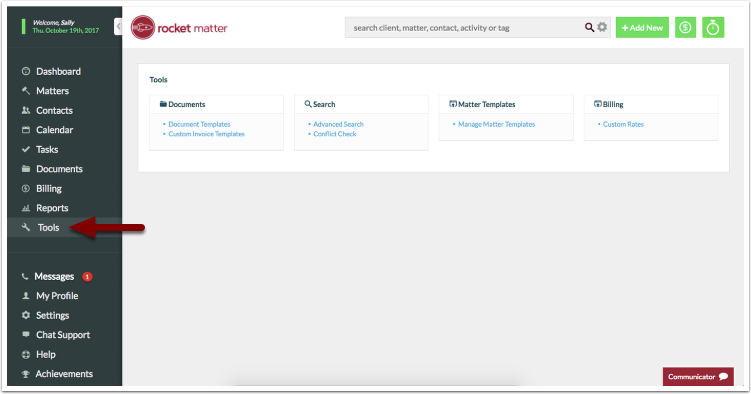 Rocket Matter Knowledge Base Custom RatesHow to add/edit custom rates in bulk. 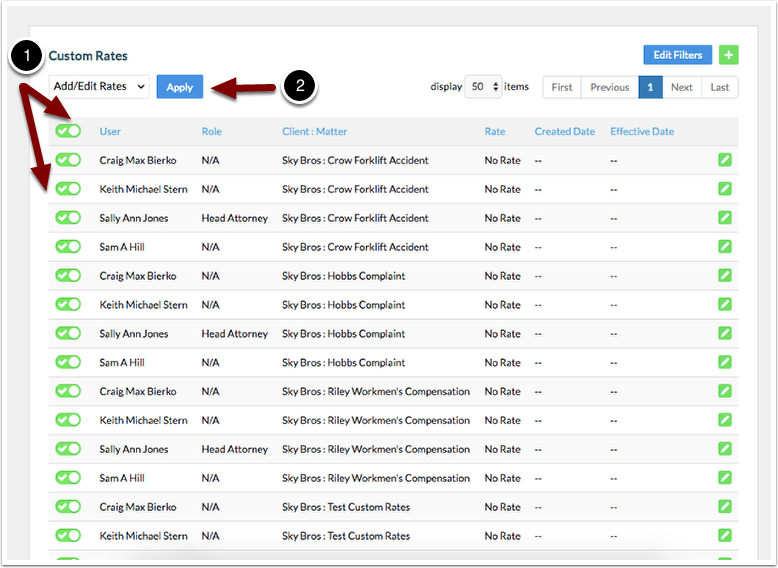 Note: this custom rate change will only change all selected matters, roles, clients and users in which the rate change is applied to. All changes will only apply to existing matters, roles, clients or users. This will not be applied to any previously invoiced items. 1. Click on "Tools" in the left hand navigational panel. 3. 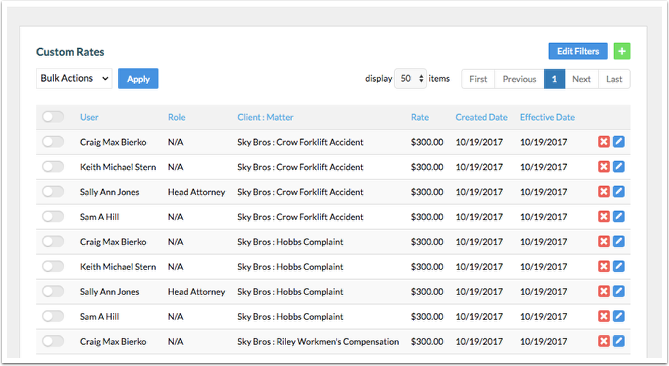 Include and/or exclude specific clients, matters, users or roles. 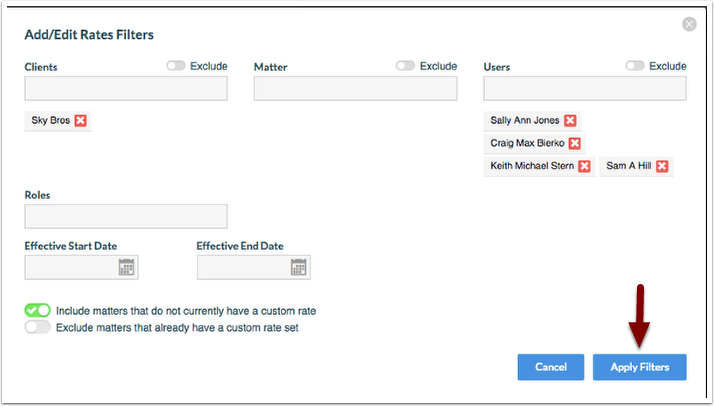 Also, include/exclude matters that currently have or don't have custom rates. Apply your selected filters. 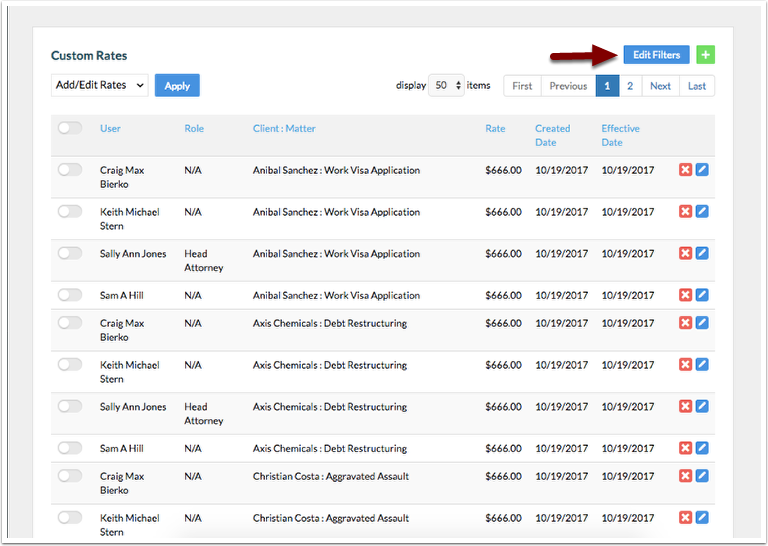 5.Select "Add/Edit Rates" from the drop down menu. 6. Select specific matters or select all matters you'd like to change the rate for and click "Apply". 7. Insert the rate and effective date and apply your changes. Prev: How to apply a custom billing rate for just one matter. 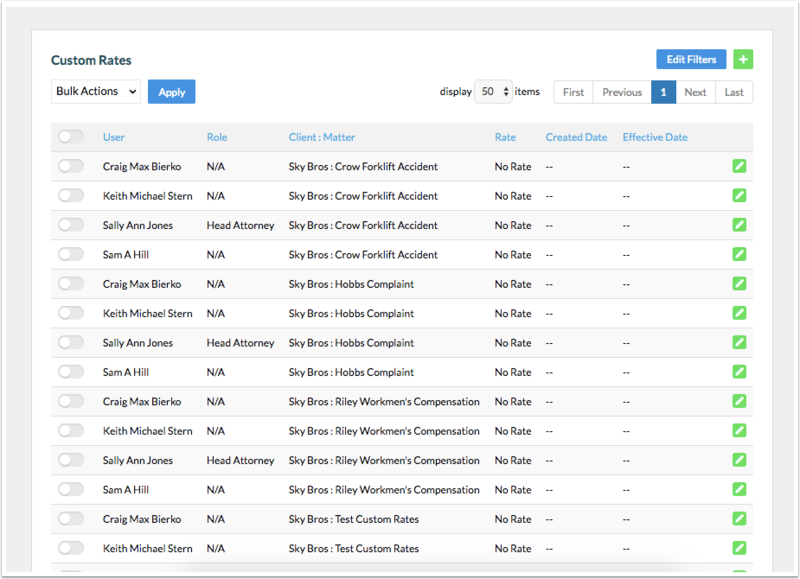 Next: How to create a firm role and apply a custom rate by client.